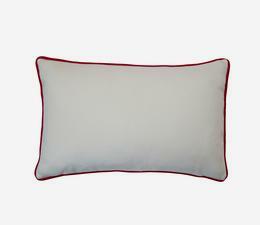 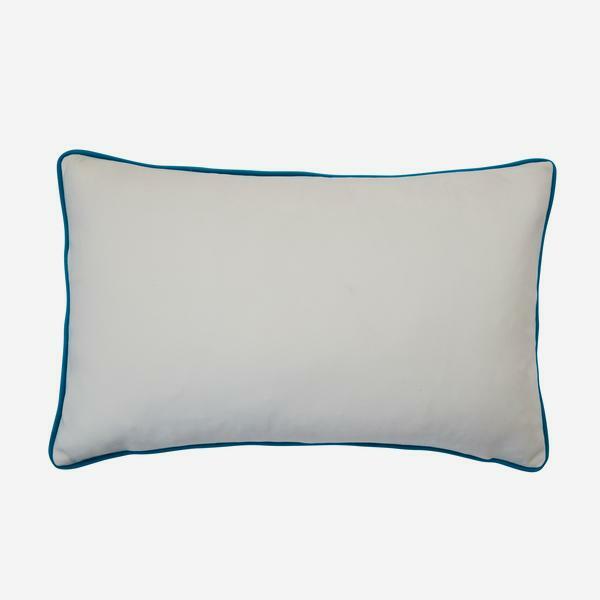 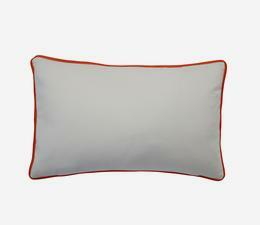 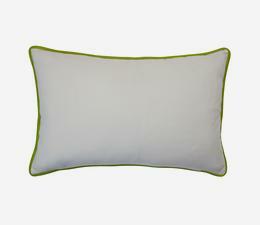 A rectangular velvet cushion in milky white with electric blue paradise contrast piping. 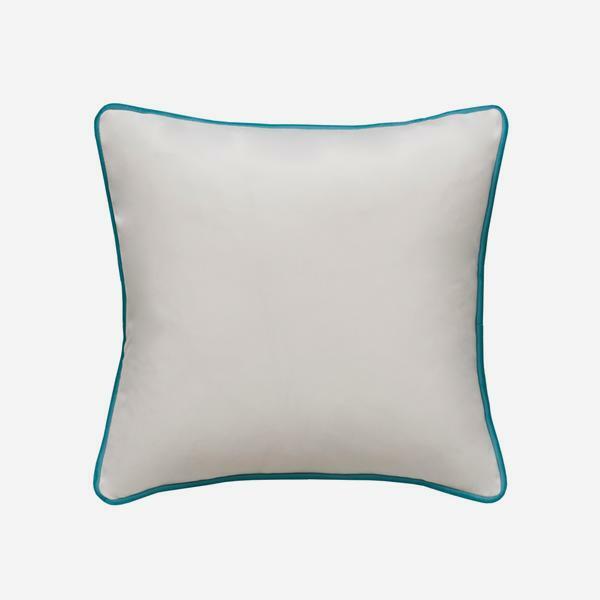 Houdini boasts expert stain resistant technology which makes it the go-to cushion for open plan living, family living areas, rentals, kids' bedrooms, kitchens and banquette seating. 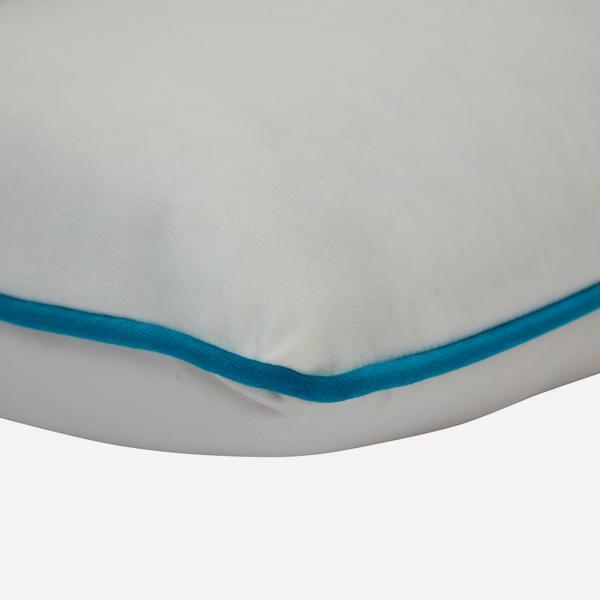 The covers can be washed in the machine at 30° or by hand.